Wow, the Democratic House Minority Leader Nancy Pelosi is plotting anarchy with George Soros… Isn’t this the very definition of sedition? A copy of the conference agenda was leaked to the Washington Free Beacon who reported on it today. Pelosi will headline the event along with George Soros. — Democrats want to spread their far left California values of open borders, Socialism and identity politics across the US. — And white men are no longer valued or welcome in today’s Democrat Party. George Soros and Nancy Pelosi will address the leaders of the Democratic “resistance” on Friday as they join a three-day conference cloaked in secrecy. 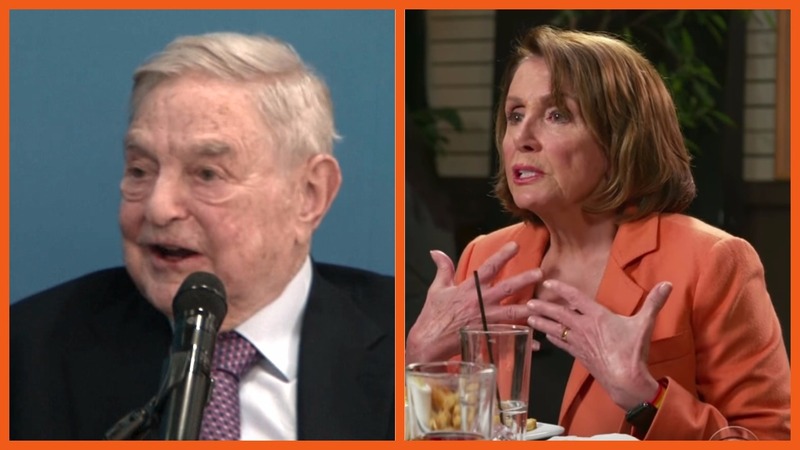 Documents obtained by the Washington Free Beacon show how Soros will be meeting with House Minority Leader Nancy Pelosi and scores of rich liberals to plot the future of the opposition To President Donald Trump. The Democracy Alliance has meeting in Carlsbad, California, at the tony La Costa Resort since Wednesday. The sessions have been clandestine with participants being promised a “safe place” to plan resistance strategy. As the documents show, the big-money liberals are instructed to not talk to the media about who is present at the conference, nor to discuss any details on social media. Apparently, the directive to not leave any conference documents unattended was missed by someone. The agenda lists the conference name as Beyond #Resistance: Reclaiming our Progressive Future. It describes the three-day event that reaches its peak today with a speech from Pelosi and “A Talk with George Soros,” the billionaire activist who is fond of funding liberal causes. Read more at TDC.